Can I get a big Whoo Hooo??? Maybe a little Happy Dance will suffice, but I am thrilled that today I was invited to be a part of the Bible Gateway Blogger Grid (BG2)! For this small-town, Canadian Gal, this is a big deal. For those of you who are not familiar with Bible Gateway, it’s the most visited Christian website in the world, with 150 million views per month, 885,000+ Facebook fans, 394,000 Google+ followers, and 110,000+ Twitter followers. The Bible Gateway Blog registers 500,000+ views per month. Founded in 1993, Bible Gateway is the original multilingual online Bible resource. It empowers global users to freely read, hear, search, study, compare, and share the Bible in 200+ versions and 70+ languages, using their desktops, laptops, tablets, ereaders, or smartphones. It will come as no surprise, that my #1 online resource is BibleGateway.com so I can hear, search, study, compare and ultimately share the Bible with my Journey Thoughts readers. You will note that over the next few weeks, I will be going through my past blog postings and ensure my scripture verses are linked with BibleGateway.com . As I have said, time and again in my blog postings, it is imperative that my readers not just read individual verses, but read the verses in context! Linking to BibleGateway.com , will allow you to do just that! Since 2009, I have been writing my little musings on Journey Thoughts. Originally it was to promote my books and build my author platform, but God had a different purpose in mind. It has since grown to be a ministry I never imagined. With over 9 million hits and followers from around the world, I am humbled by its outreach. Truly this in itself shows that God is able to do immeasurably more than all we could ever ask or imagine according to His power that is at work within us! (Ephesians 3:20) I give all the Glory to Him Who is able! Readers, you have the opportunity too in seeing that the Word of God is spread world-wide. I am asking that if you “like” what you read on Journey Thoughts that you will freely “like” “follow” AND “share” it on social media (Facebook, Twitter, Instagram, etc.) I thank-you in advance for partnering with me in this way! Join my Facebook page(s): Lynn Dove -author page; Encouraging Bible Verses and Quotes; and Word Salt. I would also appreciate you following me on Twitter @LynnIDove . I also want to ensure that you check out BibleGateway.com and follow Bible Gateway on social networks as well. Lastly, I covet the prayers of the faithful. I know that the enemy prowls around like a roaring lion waiting to devour. (1 Peter 5:8) I feel a burden to speak (write) the Truth in love and that can lead to spiritual attack and discouragement from the enemy who always wants to thwart the plans of Bible-believing Christians. The many bloggers on the Bible Gateway Blogger Grid (BG2) need your ongoing prayers. 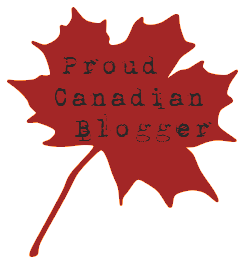 I am also so thankful to be a member of the InScribe Writers here in Canada. Just this past week, (Jan. 7) I received an email from Connie Inglis (InScribe’s Spiritual Advisor) saying that she prayed Isaiah 43:16-21 for me. In light of the events of this past week, I can’t help but feel even more blessed and encouraged by her prayers and these words from Scripture. This entry was posted in Proverbs 16:9 - Journey Thoughts and tagged Bible Gateway, BibleGateway.com, Blogging, Ephesians 3:20, Inscribe Christian Writer's Fellowship, Isaiah 43:16-21, Journey Thoughts. Bookmark the permalink. Congratulations! I will most certainly access you other links! The Father always has plans that far surpass any we could imagine! Whoo Hooo! for sure! Although we aren’t FB friends, I got your exciting news on my feed. I don’t think I’ve met you personally, but I have seen your name through InScribe circles. All the best to you in your meaningful blogging. I blog on inscribewritersonline, and I am gearing myself up to start my own blog. May you be blessed and a blessing. Congratulations… Big one for you just into the new year..